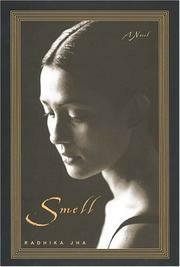 The difficult journey to independence of a young Gujarati woman with a remarkable sense of smell. When Leela’s father is killed in a riot, her family decides to leave their adopted home of Kenya. At 18, Leela is sent to live with relatives in Paris, while her mother and two brothers go to England, promising to retrieve her as soon as they’re settled. Leela soon realizes that her mother, who has quickly remarried, has no intention of sending for her, leaving Leela to manage in the unhappy household of her aunt and uncle. Used to a privileged life back in Africa, where she was preparing for university, she now finds herself cooking vast, complex Indian meals for a thankless aunt and helping her uncle in his small market. When Leela is thrown out (after revealing, in a fit of anger, how her uncle entertains his female customers), she’s fortunate enough to be taken in by a glamorous, well-connected model who refers to Leela as her “Indian friend.” Leela then finds a position as an au pair—and of course also a position as the father’s mistress. Throughout the story, it's Leela’s refined sense of smell that teaches her about her new country and the people in it, enabling her to create the most sublime culinary works. It also enables—and plagues—her with the ability to smell her own shame. She learns French and gradually makes friends, but only when she becomes mistress to a rich and powerful man does she learn the importance of identity—something she’s been sorely lacking. Most of the narrative has little to do with choices Leela actually makes and much to do with her luck in meeting influential people. The close, when she finally chooses a life of her own, comes not a moment too soon. Still, newcomer Jha offers a detailed look at an immigrant’s life in Paris, both its hardships and pleasures.